Zachary T. submitted this photo and caption. 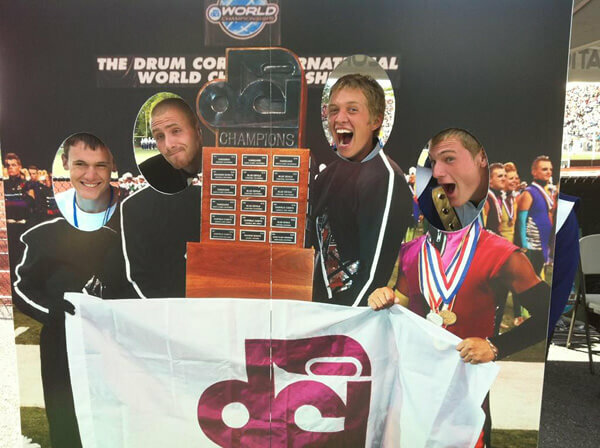 All of us are students at West Chester University and while at the Collegiate Band Festival in Allentown this past fall, we couldn't help but to take a visit to the DCI booth. We all marched over the summer and wanted to finally get a picture with the championship trophy. From left to right in the picture: Brad M. (Phantom Regiment), Jordan F. (Cadets), Zachary T. (Cadets), Christopher B. (Carolina Crown).